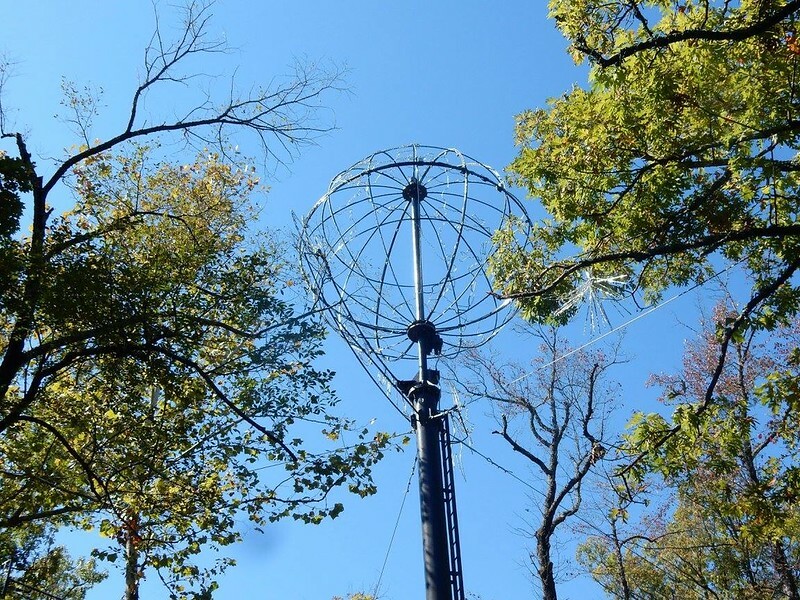 This is the new "giant globe" at Silver Dollar City. Similar to the one at Osborne, it has an outline of the continents, and a wire frame to hold it together. it's about 8-10 feet across.